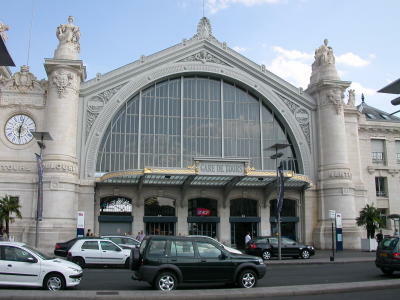 By plane, by train, by automobile, we arrived into the city of Tours about 2 ½ hours after we left Nice. Actually, the automobile was not a necessary component of the trip to Tours – it’s for visiting all the châteaux of the Loire Valley from our base here in Tours. An hour flight from Nice got us into Paris Orly, from where we took the RER to Gare Montparnasse where we caught the one-hour train directly into the city center of Tours (not to be mistaken for St. Pierre des Corps). Everything was very conveniently situated for our arrival in Tours. EuropCar, where we picked up our rental car, was just across the street from the Gare de Tours, and the Hotel L’Univers was also only a couple of blocks away. We only picked up the rental car today because EuropCar will be closed tomorrow (Sunday), and a car is necessary for searching out the Châteaux de Loire. We spent our first day getting acquainted with Tours, a university town of about 140,000 inhabitants, which sits on the beautiful Loire River. 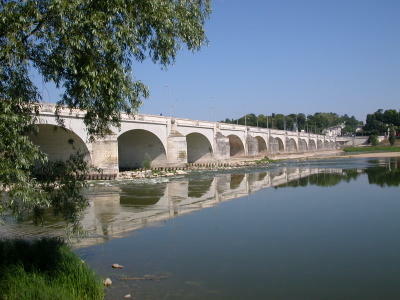 The river does not seem to provide the main focal point of the city, but rather, sits off the beaten track, and provides a quiet respite with nice areas for strolling. 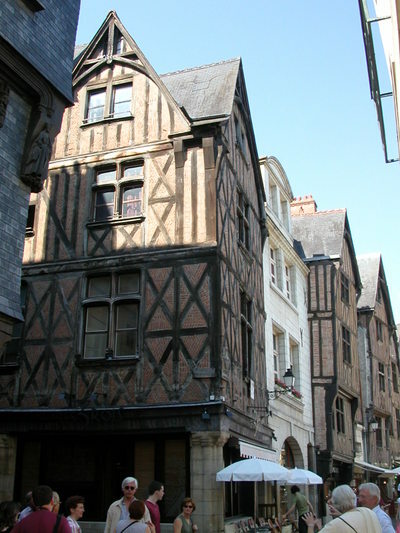 One of the main centers of activity in Tours is the colorful medieval historical center, with its half-timbered houses, and lively terrace cafés. It's a great area for people-watching while sipping on something cold to drink in the summer heat. This is a trackback to blueVicar. What happens if I refer to www.bluevicar.com in the post? Will it make the PandP post appear on my site?